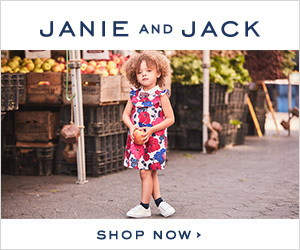 Janie and Jack's Season Finale Semi-Annual Sale is going on now! Through Sunday (today), you can get up to 60% off select styles. I love Janie and Jack styles and have always thought of the brand as very good quality. Hurry to get in on this amazing deal!